Who can we turn to for help when we are burdened down with problems? When I have problems, I go to my mother. I feel much better listening to her words of advice. My problems may not go away immediately yet I feel comforted by her motherly love. 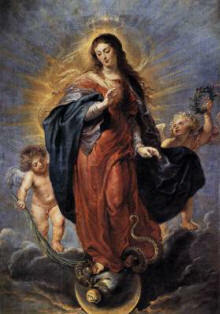 My mother trusts that our lady will come to her aid. Simple as that. She has always had a deep love of our Blessed Mother and she has entrusted all her children to Mary's motherly protection. When one of her children goes to her with a problem, she immediately ask the Mother of Jesus, to help. Of course, our Lady answers my mother's call for help. Our Lady is the most loving of mothers. She is truly our mother. She loves us so much and she wants to intercede for us. We know that from Jesus' very first public miracle at Cana, He cannot deny His sweet mother's request. Therefore, when we are troubled, let us remember to pray with confidence "Jesus, I trust in You." And also remember to ask our Lady for specific help. She will make sure Jesus answers your prayers. Note: While searching for an appropriate picture to go along with this post, I found very graphic photos of murdered and tortured Christians. One that impacted me was the decapitated head of a young girl, laying along side her body. Pray, pray and continue to pray for the persecuted Christians all over the world. "It was a Sunday and evening mass had just begun. Shortly after the Gospel reading, about 17.15, we heard the sound of gunfire outside the church. Father Tha'er, who was celebrating the liturgy, tried to calm everyone down, telling us to pray together. The noise became louder, then we heard a loud explosion and the terrorists entered the Church - five or six in all - and started shooting everywhere.."
"I saw the injured girl. I decided to go and get her to try and bring her to safety. I took her on my shoulders, but one of the terrorists saw me and threw a grenade at us: the girl died and I was on the ground wounded. I pretended to be dead. If we...wish to give the most pleasure possible to Mary in every action, in every sacrifice, we must intend to give the most pleasure possible to Jesus in the name of Mary. Jesus will be happier because we do this in the name of His Mother; Mary will be happier because she will have succeeded in making her Son better loved by us and by others, through us. H/T to Father Tim Finegan via Sue Cifelli. "Mary is not only an incomparably beautiful Mother, she is also an incomparably loving Mother." Thanks to my friend Brother John Samaha, S.M., I am able to add this new English translation of a classic Catholic book, to my Advent reading list. 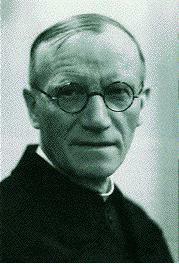 BTW, a tribute to Father Emile Neubert, S.M. by Brother John, can be found here. DEVOTION TO MARY by Father Emile Neubert, S.M., has just been published by Academy of the Immaculate. This is the English translation by Father Charles Miller, S.M., of the original French book, which is a classic in Europe. 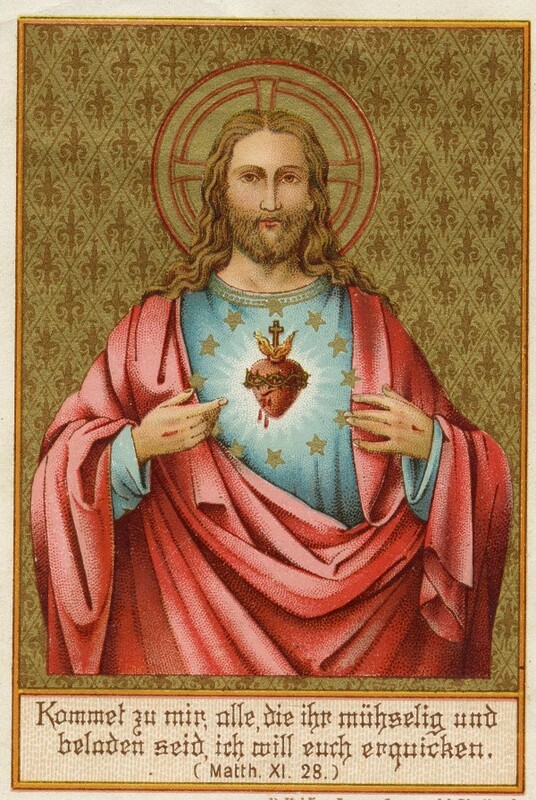 the Mother of all the members of the Mystical Body of Christ. Mary's Motherhood is an image of the maternal character of the Church. For Fr. Neubert, Marian devotion consists not so much in specific practices but, rather in offering one's life to the Virgin Mary, an offering which has an ecclesial dimension. For St. Luis Grignion de Montfort, Marian consecration is a solemn renewal of one's baptismal commitment confided to the Virgin Mother. 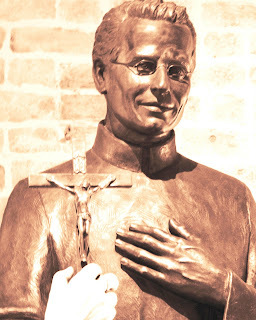 For Blessed William Joseph Chaminade, Marian consecration is to assist Mary in her apostolic mission: as she gave birth to Christ, "the First-born among many brethren, she cooperates, with a mother's love, in the generation and formation of the faithful." 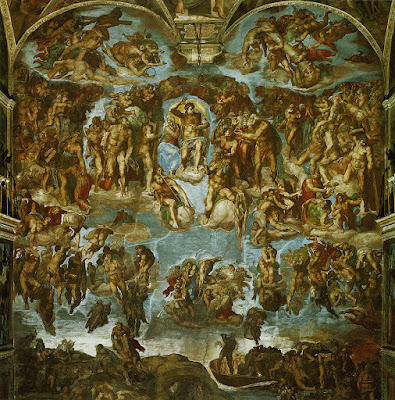 (Lumen Gentium 63). 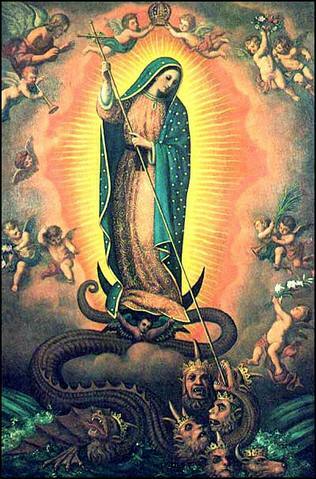 The December 12 Feast of Our Lady of Guadalupe is fast approaching. Begin your novena on Friday, December 3 to end on the eve of her Feast Day. Here is the novena in its entirety, written by Rev. Lawrence G. Lovasik, S.V.D., and approved by Bishop Burke, now Cardinal Burke, for use preceding Consecration/Renewal. I will also repost the prayers for each day as we move through the novena. The novena can be found on Evann's blog here. The following was shared by Mary Jane D. via email. 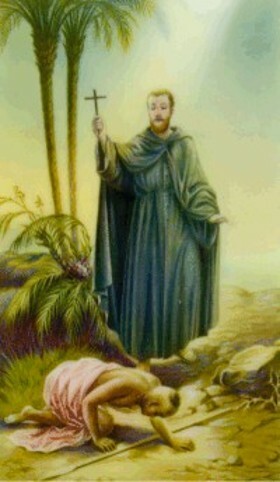 but the names day of our dear Father Francis Xavier Seelos who was named after this great saint! Look how happy he is on his names day!! Your prayers will truly be answered today!! 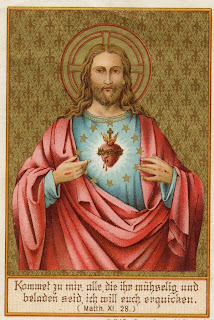 Most of all, we remember the Sacred Heart of Jesus on this First Friday in Advent. It started with a reminder to my family that today was Friday Friday which meant Mass and Nocturnal Adoration. Instead of the enthusiasm I always hope to hear, I heard groans and I saw the rolling of the eyes. To be honest with you, even though we try to be good practicing Catholics, my family is not exactly St. Therese's family. The First Friday announcement triggered a family discussion on devotions. My son shared with us his favorite and not so favorite devotions and my husband shared that he often prays during the day in a personal way without formal prayers. I acknowledged that I would prefer to pray with my own words instead of all the devotional prayers that I pray daily. However, we sometimes need to pray formally or to perform certain devotions because we have responsibilities to our spiritual life like any other aspect of our lives. The devotions that make up part of my daily life are important. I cannot give them up merely because I find myself praying by rote. I just need to focus more on these prayers. We need to pray for those in need, conversion, the dying, for reparation, in thanksgiving, in adoration and so many other reasons. Many times formal prayers like the Holy Rosary and the Divine Mercy Chaplet are the best ways of doing this. Our devotions are a personal thing that depend on our state of life. Someone who is ill may not be able to attend daily Mass but can receive spiritual communion and can pray the Holy Rosary for so many intentions. This Advent season I suggest that you take inventory of your devotions and see whether you need to make some changes. Fourthly, I beg of Thee a perfect resignation to Thy will, in accepting with tranquility sorrows, infirmities, contempt, persecutions, aridity of spirit, loss of property, of esteem, of relations, and every other cross which shall come to me from Thy hands. I offer myself entirely to Thee, that thou mayest do with me, and all that belongs to me, what thou pleasest; do Thou only give me light and strength to do Thy will, and, especially at the hour of death, help me to sacrifice my life to Thee with all the affection I am capable of, in union with the sacrifice which Thy Son Jesus Christ made of His life on the cross of Calvary. Sixthly, I pray Thee to give me the spirit of true humility and meekness, that I may accept with peace, and even with joy, all the contempt, ingratitude and ill-treatment that I may receive. At the same time I also pray Thee to give me perfect charity, which shall make me wish well to those who have done evil to me, and to do what good I can, at least by praying, for those who have in any way injured me. It is only through our being still and listening intently that we will hear God speak to us. He sometimes speaks in a whisper or very quietly to us. We must therefore learn to listen for His gentle voice. Not long ago I read an article in a National Geographic magazine about how darkness seems to have all but disappeared from the night sky. It is through so much light pollution that a dark night is becoming a rarity. We may not realize it but darkness is vital to the well being of the Earth's creatures. Remember that it was on the very first day of creation, God separated the day from night. He did not eliminate the darkness but only separated it from the light. This man-made darkness elimination is causing an adverse effect on the world's animals. Just to give you one example, most of the birds who sleep during the night are now often disoriented by the light. They become confused and fly to their deaths. This will surely negatively impact their survival. For human beings, it is easier to find stillness in the dark if we want to do so. A quiet room lit only by a candle or a single light bulb can really help us spiritually to hear Our Lord speaking to us, as long as we do not permit too much lights and sounds to distract our attention. Yet, more often than not, we allow our attention to be diverted from listening to God by the flashing lights and continuous loud noises coming from the television, computer, cell phone, MP3 players, and even talking to much. How can we possibly expect to know what God wants from us when we cannot hear him? Or how can we expect God to answer us if we are talking. As Judge Judy likes to remind us "God gave us two ears and one mouth for a reason." If we are unwilling to give up the "night life" in order to find God, than we have to find Him at another time, if we are serious about developing a personal relationship with our Lord. Did you ever notice that when your eyes open very early in the morning, you can find solutions to a problem or an answer to a question, lying in bed? This is true for me. I find it much easier to think during this short time because my mind is clear. I also think this is true because there is silence and darkness surrounding me. Just for a short time, there are no distractions. God is there to help me with my problems or the answers I am seeking. I listen to Him and He speaks to my heart. Another place one can listen to God without distractions, is before the Blessed Sacrament found in every Catholic Church or chapel. Jesus is truly present in the Blessed Sacrament in the Tabernacle before us! We can go to Him because He will understand our needs, pains, sufferings like no one else can. We in turn must listen to what He has to say to us. He is there for us, if we can only quiet ourselves and listen. We may not be able to control the noise around us, but we can focus on Him and not let distractions such as talking or cell phones ringing, make us lose our peace within us. There is still time this Advent to find Our Lord in silence. I am posting this for that one reader who still has not seen this uplifting video! A big mahalo to Cami for sharing this beautiful video and story with me. These Stone Walls: And Death’s Dark Shadow Put to Flight: Advent Hope for the Fall of Man. 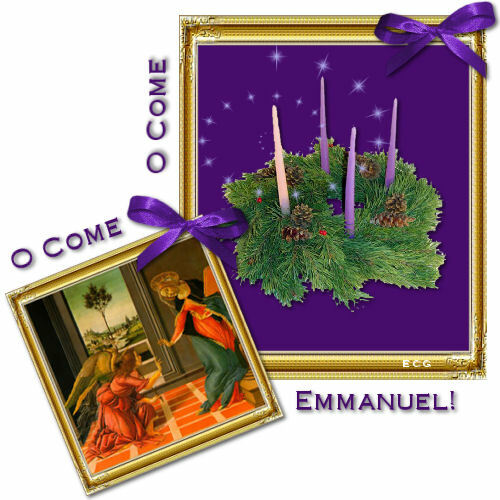 Please read Father Gordon's newest post for Advent. It is very moving. The following article by was written by Teresa Tomeo. Those of us who are doing our best to try and follow the teachings of the Church know enough to not take our cues from secular society, especially in regards to what the world says is important at Christmas. We try not to get sucked into the culture of consumerism and commercialism and what has become society’s idea of the reason for the season; the emphasis on the material instead of the spiritual. Many of us have been there and done that in our former lives and had our own “V 8” moments so to speak. Faith is believing without seeing. Isn't that what we have been taught about the first of the three Theological Virtues? We are still in the first week of Advent and the frenzy of preparation for Christmas is not dying down. If anything, the mad rush to get everything ready and perfect is getting worse. If you happened to go to a mall near you, you know what I mean. 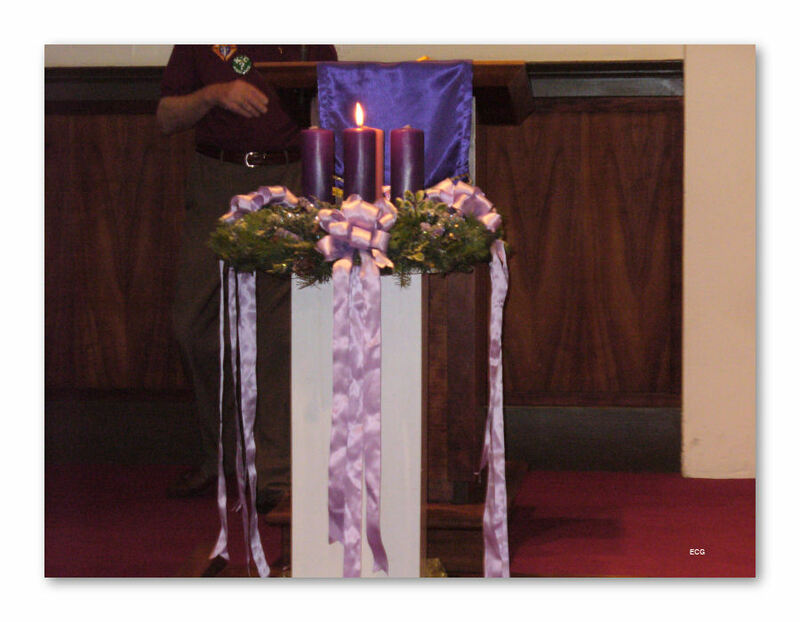 What we should be focusing on instead is on the liturgical season of Advent. I never really understood Advent when I was younger. Back then, my family went from celebrating Thanksgiving on Thursday to Christmas preparation the next day. I was the oldest and my loving mother let me be in charge of Christmas preparation. We would put up the Christmas lights, decorate the tree, play Christmas music of course the nativity would be set up, including the Baby Jesus! We knew because of our faith that Jesus would be born. We just never took the time to prepare for His birth! My younger brothers and sisters, as well as my parents, really got into the proverbial "Christmas spirit". We did not realize how much we missed out as a family by not preparing for our Lord's coming. We would have had a more peaceful and spiritual experience had we listened to Isaiah and John the Baptist foretellings instead of the commercials on television. Now Advent has become a very important time in our respective families. Personally, it is a time I look forward to very much. We entered the Season of Advent with faith. My family and I attended the Vigil Mass for the First Week of Advent followed by the Nascent Vigil for Life. That really put everything in perspective for us. We left the Church filled with peace, joy and love for each other. 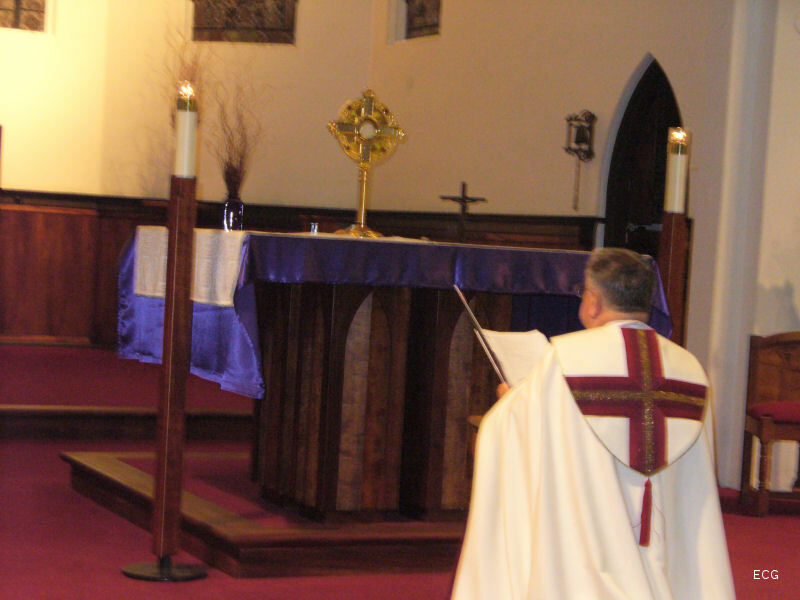 On Sunday evening we had the traditional family blessing of the wreath, and the lighting of the first candle. We then read from the Magnificat Advent Companion, courtesy of our parish and reading from the day's Advent Calender. This year the little drawers in our wooden Advent Calender box are filled with teachings from St. Francis de Sales. So, why do we do all this? It is because we have been blessed with faith like so many other families. We truly believe that God sent His only begotten Son as a baby, in the most humblest of surroundings, in order to save us. But first we must prepare ourselves spiritually for His birth. Ultimately, He took upon our sins so that we can live forever with Him in Heaven. We in return must have true contrition and make reparation because we love Him. This is faith. It is a gift from God and never do I realize it more clearly than when I see some who just do not believe. It is very sad to see the rejection of God and His love for us. I remember reading in A Tree Grows in Brooklyn, that the protagonist asked her mother why the Jewish mamas have so many babies. 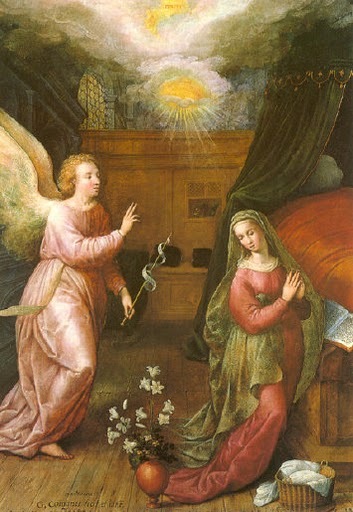 Her mother explained to "Francie" that it was because each one believes that the baby they are carrying would be the long awaited for Messiah. In a way, they had faith. But not enough for them to accept that their Messiah had already been born a long time ago. Advent is the joyful waiting period for the Messiah. 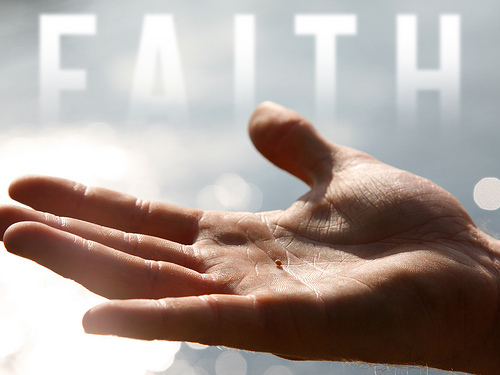 We know this because of the gift of faith. Just a quick reminder that we are called to participate in an Hour of Grace next week on the Feast of the Immaculate Conception. 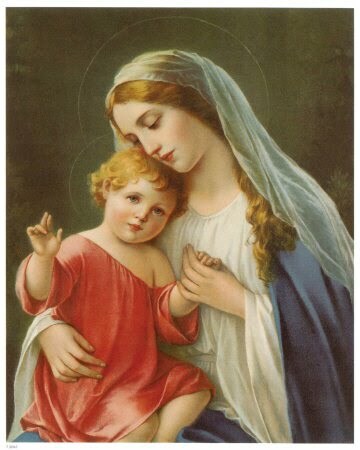 To learn more about this beautiful Marian devotion please check out my previous post on it which can be found here. One thing we can be certain of is that no one in this world is without a cross to bear. Even for those whose crosses do not appear to be very difficult to bear, the cross can be hard to accept if not carried with the right spirit. Some say that God gives us the cross sized just right for us. Others say that we only have to carry a sliver of our cross because Jesus is carrying the brunt of it. 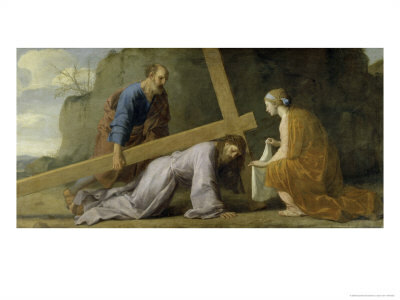 Either way we choose to look at the weight of our personal cross, we will find that our cross can be carried without complaint, and even with joy, when we do it for God. When we accept our cross for love of God, we are then carrying our crosses by uniting our sufferings with Jesus' sufferings. We are not focusing on our pains and problems. We instead have a more nobler purpose for the hardships that come our way. We are also resigning ourselves to accept God's will for us in everything. Be it good or bad, we accept. 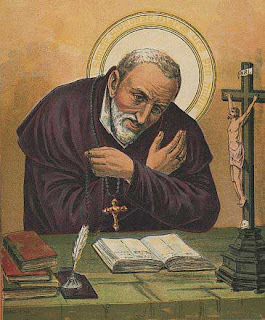 Like St. Francis de Sales taught his spiritual children, through the inspirational teachings in Spiritual Combat, we neither request nor reject. I have a very good friend. She is in fact, my best friend and one of my oldest friends. We can always count on each other for support and unconditional love. This friend has had to bear very painful crosses in her life. Just to give you a few examples, she had to bear the pain of an abusive and unfaithful spouse, a divorce and the nightmare that every parent fears, the death of her child, the only daughter in the family. As devastating as the last cross was for my friend, she never blamed God, never complained but in her extreme sadness, she accepted it. It has been at least five years since the girl's death, and even though she is still sorely missed by her mother, her mother instead has turned to God for solace and answers to her daughter's untimely death. To me, my friend is a very holy person. She is far from perfect, like the rest of us. Yet, in her simplicity, she accepted God's will for her. I was listening to an interview on EWTN the other day. It was Father Stan Fortuna telling this story. It seemed that a priest or cardinal approached Pope John Paul II for counsel as the priest in question was in terrible physical pain. Pope John Paul II lightly slapped the priest's forehead and told him not to waste his suffering. What an example! We should all learn that lesson well. I do not believe there will ever be a person who enjoys the crosses God gives them, not even a saint would enjoy the crosses of their lives. But we can embrace our crosses in a different way, in that we may be embracing Christ Himself and offering Him the comfort He did not receive from anyone during His Passion. 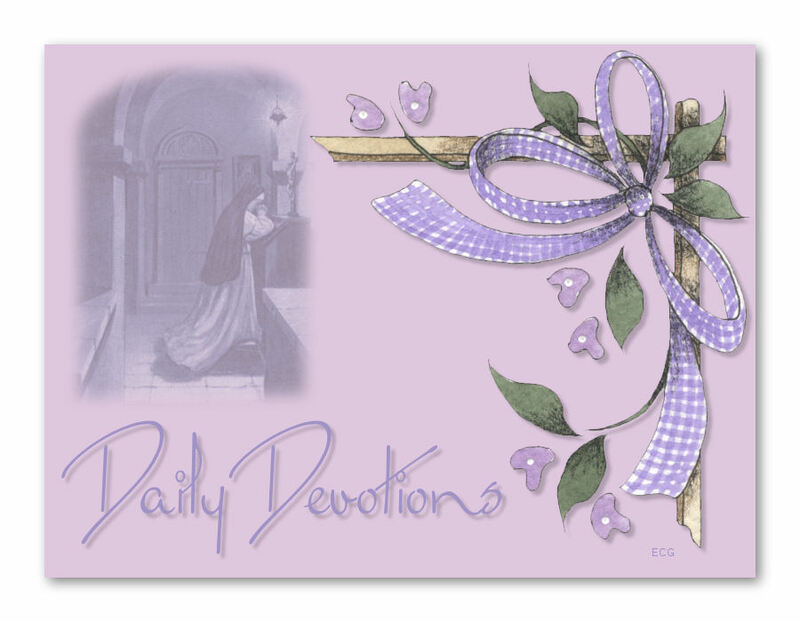 Ann shared a wonderful devotion on her blog here. spiritual crib in your heart for Christ. Reasons for Hope - Meditations for the Advent Season: Be Ready! It is the Monday of the first week of Advent. I wrote part of the following in Church early in the morning. There is a peaceful stillness surrounding me this early morning prior to Mass. It is during this time, that I spend in quiet company of our Lord. It is very easy to feel love in His presence. 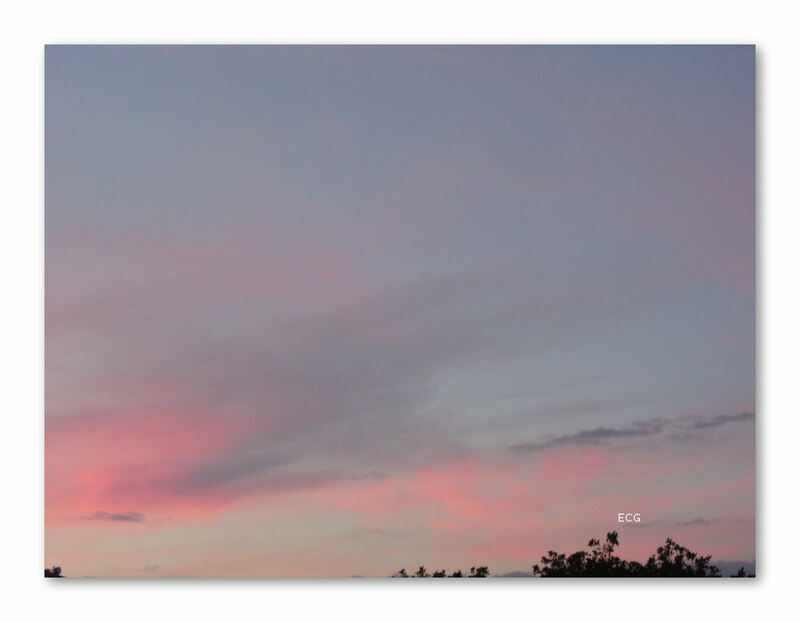 Yet, I realize that once I leave that sanctuary, the real world will bombard me with the troubles of the day. At the moment, I feel at peace, having had my sins cleansed "by the Blood of the Lamb", a couple of days ago, I can promise Him that I will not offend him anymore. How long will it be before I fail to keep my promise? ; once again doing something that will offend our God. The inevitability of my sins due to my weak nature does not really disturb me. Instead it gives me the strength and conviction I need to try even harder to overcome my habitual sins. I am comforted by the promises of His Divine Mercy. He will forgive me again and again as long as I resolve myself to sin no more and more importantly to feel true sorrow for my sins. The part of the Act of Contrition that we pray "...and to avoid near occasions of sins..." would mean that I would have to avoid people in general. That would not be either helpful to my spiritual well being or realistic. Instead, it would be more helpful to ask God, His mother and the saints, to help me see others as Jesus' sees them. Overcoming pride and actively embracing humility will be more effective in this case. Come Lord Jesus and continue to fill me with the joy of your coming that when I greet you, you will notice that I have made an honest effort to overcome the sins that hold me back from loving You completely. The following are suggestions I wrote out for our Advent Calender last year. 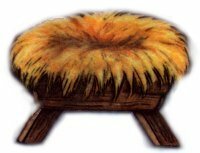 Even though the first day of Advent was yesterday, there is still time to use these suggestions for your family's Advent Calender or to fill the Baby's Jesus' manger with straw. For those of you not familiar with this Advent tradition, you can get an idea of what I mean here. These suggestions were written for an older teen and adults. You may have to adapt some of them if you have younger children in the home. Day 1. I will wait 15 minutes before drinking something, especially if I am very thirsty. Day 2. I will acknowledge Christ in a person by smiling at someone even if they do not smile back. Day 3. I will offer my help to a member of my family. Day 4. I will visit the Blessed Sacrament just to say "Thank you Lord!". Day 5. I will do a random act of kindness. Day 6. I will say a prayer for a forgotten member of my family. Day 7. I will read a page from the Imitation of Christ. Day 8. I will avoid listening to gossip. Day 9. I will be extra kind to the person who annoys me the most. Day 10. I will skip coffee or a favorite beverage today. Day 11. I will listen to Catholic hymns instead of secular music. Day 12. I will quiet my mind and pray the Hail Mary once, asking our Lady to show me how to be more like her. Day 13. I will say a prayer for a forgotten friend. Day 14. I will make a list of my sins in preparation for confession. Day 15. I will say a prayer for a poor soul in Purgatory. Day 16. I will say a prayer for someone who has hurt me. Day 17. I will share with my family a special treat. Day 18. I will make a list of God's blessings He has bestowed on me. Day 19. I will not nag a loved one. Day 20. I will skip lunch today. Day 21. I will save $5.00 to give to a homeless person. Day 22. I will do a chore I do not like to do, without being asked. Day 23. 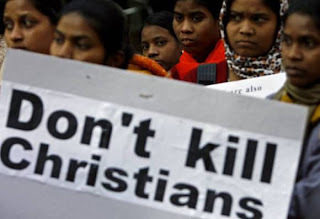 I will pray an extra Rosary for persecuted Christians. Day 24. I will give donate an item I like to someone less fortunate. Day 25. I will attend Christmas Mass and I will pay extra attention to Christ's sacrifice.